Help My Daddy Get His New Kidney! My daddy, Steve Hughes, a resident of Westside in Jacksonville, FL is the father of 6 kids, 12 grandbabies, and 2 great-grandbabies. He is very ill and needs a kidney transplant to extend his life. He needs our help to make it happen. Steve is just 61-years-old. He is an amazing father, brother, husband, and grandfather. Three years ago, he was diagnosed with renal failure. The disease that attacked his kidneys now prevents him from playing with his grand and great grandkids. He misses being able to get up and run after them and play. 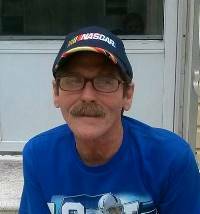 They love him dearly but he is now completely dependent on dialysis, which he undergoes at Shands Hospital every other day. His only chance to return to good health is a kidney transplant. Transplants are lifesaving but very expensive. We are doing everything we possibly can to help our father raise the $4800 required for post-transplant anti-rejection medications. Then he will be placed on the active transplant waiting list. He has been here for every one of us and has done his very best to raise us. He is our hero and we love our father deeply. Both my two sisters and I are hoping to be tested so one of us can donate a kidney to him. We want him better but this is a challenge we cannot face on our own. To help with the financial burden of Steve’s uninsured expenses, a fundraising campaign in his honor has been established with HelpHOPELive, a trusted nonprofit organization that has been providing community-based fundraising guidance to patients and their families for more than 30 years. All donations are tax-deductible, are held by HelpHOPELive in the Southeast Kidney Transplant Fund, and are administered by HelpHOPELive for transplant-related expenses only. Please, consider an end-of-year tax contribution. Your support is critical to the overall success of Steve’s struggle. Please know that your contribution counts. We thank you in advance for your kind consideration.